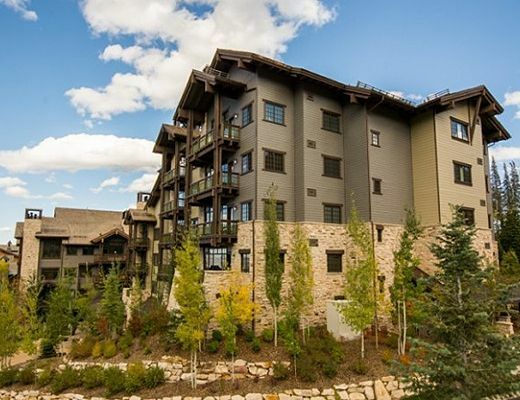 Located in the beautiful Arrowleaf Lodge at Empire Pass in Upper Deer Valley, this condo is truly ski-in/ski-out. 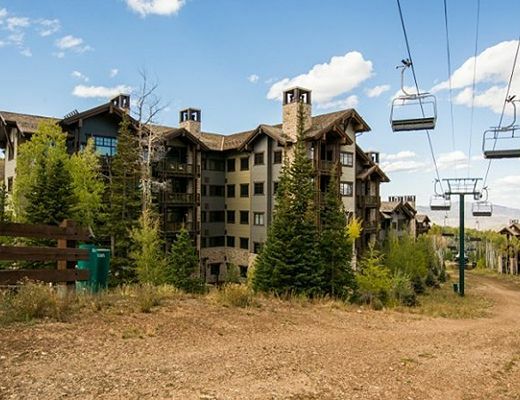 Walk out the back door of the condo to Silver Buck ski run and ski down to the Silver Strike Ski Lift, which will bring you up to the top of Flagstaff Mountain, with direct access to all Deer Valley trails. 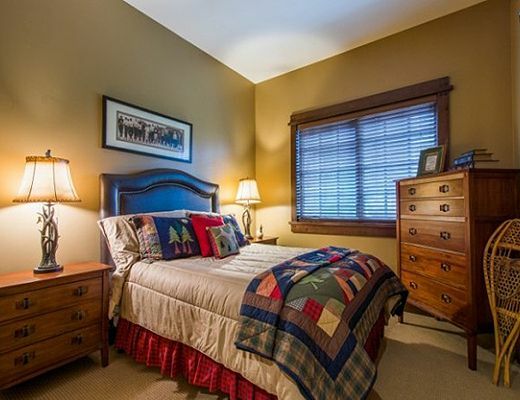 Furnished with top heirloom quality hand knotted Persian carpets, luxury linens and mattresses. This first floor unit looks out over the ski run. The unit is light, airy, with views of the mountains. 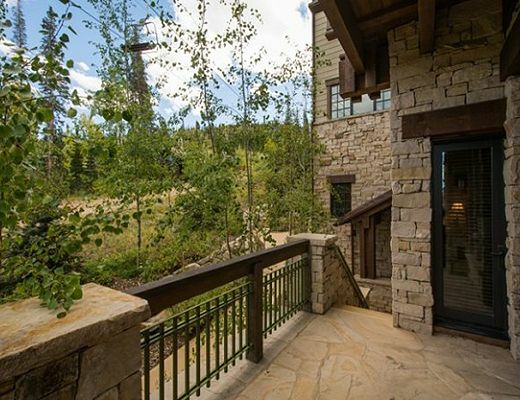 There is a back patio with your own private stairs down to the ski run. 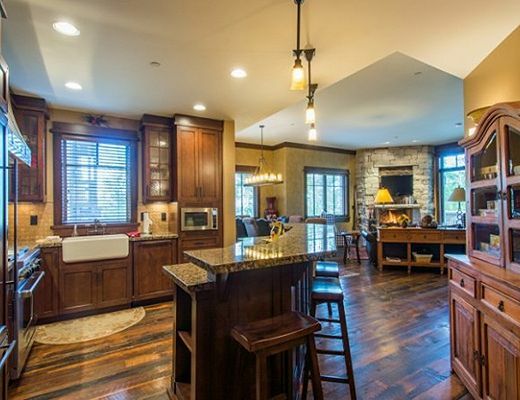 This condo has a spectacular open great room. 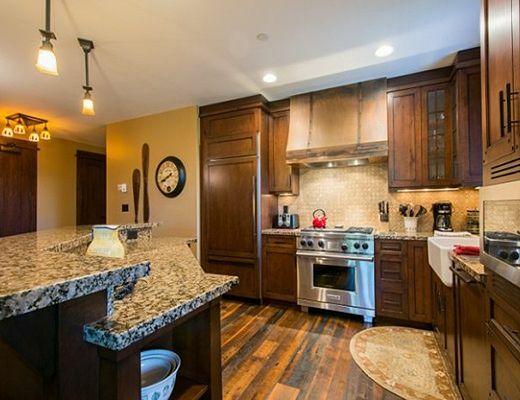 The kitchen has granite counter tops with 4 bar stools and is fully equipped with top of the line appliances including a Wolf range, Sub Zero refrigerator/freezer, and Viking wine cooler. The wood dining table can comfortably seat 8. 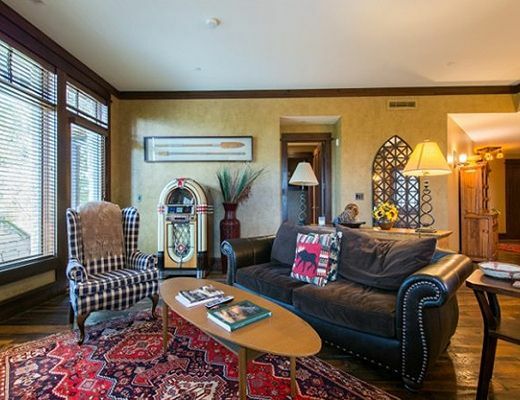 The living room has a comfortable leather couch, two French arm chairs, and fully stocked 60 CD Seeburg Bubbler CD Jukebox playing Billboard Top Hits from the fifties through the nineties! The living room has a 42 inch LCD HD Flat screen TV with DVD player with full Cable TV and HBO included. 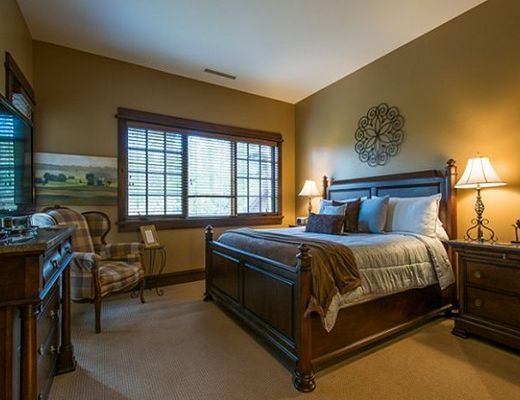 Plus, there are TVs in each bedroom and wireless internet access. The living room is stocked with books and games. 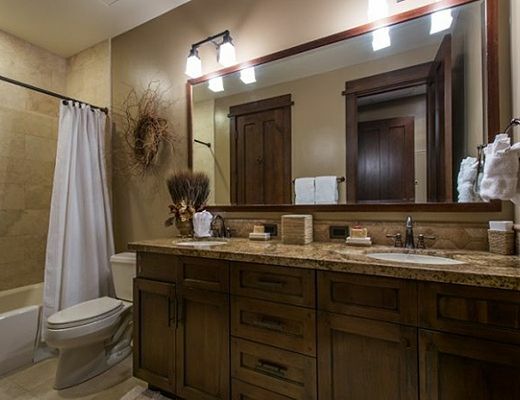 The powder room is off the front hall. One closet holds the stacked Maytag washer/dryer. 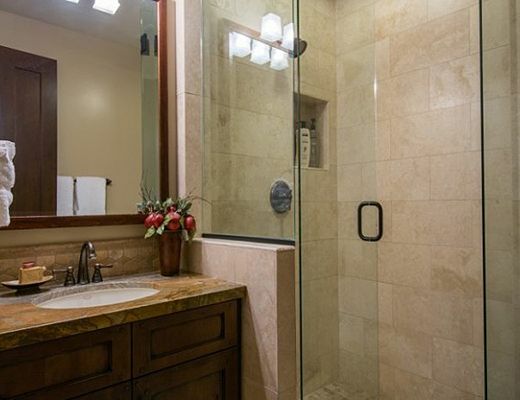 The master bedroom has a king bed and the attached master bath features radiant heat, double sinks, jetted tub and separate glasses shower. 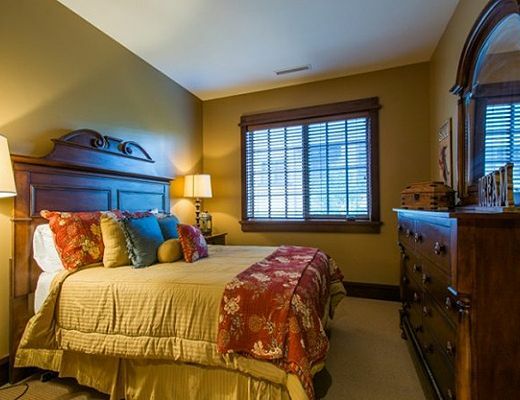 The second and third bedrooms have queen beds and each have a private bath. On this same floor in adjoining Arrowleaf Lodge A is Arrowleaf Lodges Hearth Room. 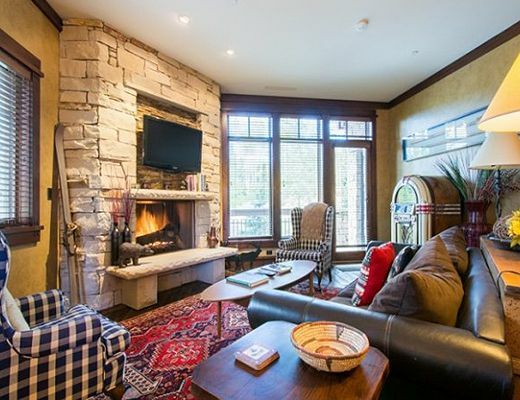 Guests will enjoy a huge gas fireplace and lounge area, pool table, darts, more books, and multiple computer stations with complimentary internet access. Starbucks coffee/tea/cocoa self-service is right there too! You'll also find your private ski locker with boot heaters. 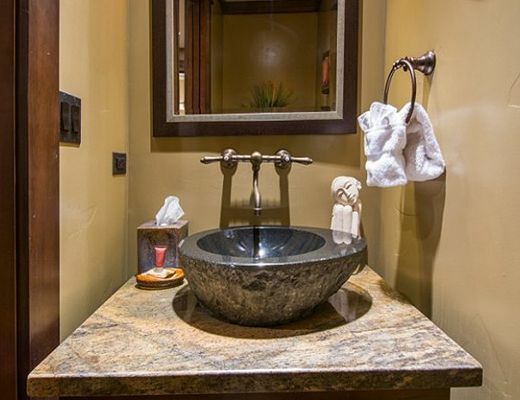 A gorgeous outside gas firepit and dual hot tubs welcomes you back at the end of your ski day! Covered, heated, and secure underground parking makes life really easy in winter parking conditions if you bring a vehicle.